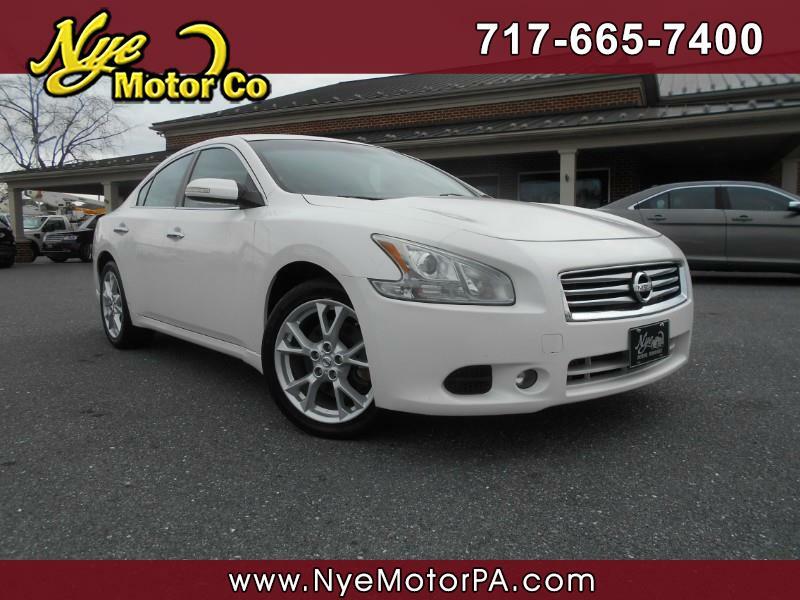 Used 2012 Nissan Maxima SV for Sale in Manheim PA 17545 Nye Motor Co.
****CLEAN VEHICLE HISTORY REPORT****LOCAL TRADE****BEAUTIFUL****MUST SEE**** Check out this fantastic 2012 Nissan Maxima SV with only 64K miles! Loaded up with Heated Seats, Heated Steering Wheel, Sunroof, Push Button Start, Cd, USB, A/V In, Steering Wheel Mounted Controls, Bluetooth, Power Seats, Power Windows, Power Door Locks, Power Mirror, Dual Climate Control, Back UP Cam, and More! Call today to schedule your test drive.